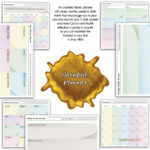 More than your child, this memorization journey is the scariest for you! The responsibility, the hard work, the determination! Children can easily mold anyway with love as long as you are encouraged enough to believe in yourself that you can help your child do this with Allah’s help! That you want it enough to be able to reflect that passion onto your child. “To be honest, the biggest tip would be to learn the tajweed yourself if you don’t already know it. This is crucial if you want to get involved with teaching Qur’an to your children. I had re-learnt Qur’an with tajweed a short time before Maariya began her Qa’eda stage. This proved priceless for our hifdh journey to have been successful alhamdulillah. I wouldn’t have had a clue otherwise.” says Shabnam. You CAN start your own Quran journey with your child. Perhaps you may do tafsir of the verses your child is memorizing. This will help you help your child. Seeing you with Quran will make your child want to sit with Quran as well in shaa Allah. You know how your child is not interested in food at all, but as soon as you sit down to eat, they have never been hungrier? So yeah, same same! Some kids are aural learners. They learn best when they listen. Some children are visual learners so they learn best when they see. Young kids (especially) are kinaesthetic learners hence they learn best when they practically do things. While some kids are mixture of 2 or all styles. If you are finding it hard to get them to memorize through oral practice, try doing tafsir with them to see if they can memorize better when they know WHAT they are memorizing. 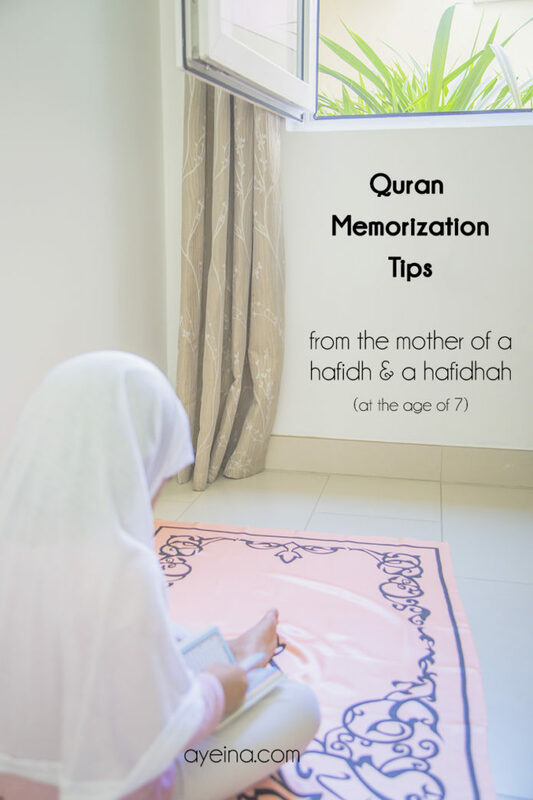 Memorization of Quran isn’t a necessity (not all sahaabas were huffadh), but understanding Quran is – so doing translation/tafsir with them will help them bond with their Lord better which will eventually help them stay motivated to memorize in shaa Allah. Many people ask: “What age do we start teaching kids Quran?” You know your child best and you can try as early as 2 even. An innocent heart free of a lot of sins can absorb khair in them much better. Some kids learn to speak early while some take time. But whatever age or stage they are at, nurturing love for Allah as a foundation can really help you get things rolling. Depending on the child’s ability and your effort, it may take 2-10 years to completely memorize the Quran. “Maariya was turning 5 when she started her Qa’eda stage. She had just started reception at a ‘normal’ school. Maariya duly started the short Surahs of Juz Amma at the Arabic School. I was happy to get Maariya ready so a qualified teacher can ensure her correct tajweed and makhaarij. Maariya finished her Juz Amma in about 2 months without any real push. I realized then that we should think about her hifdh more seriously. At this stage, I decided to teach her myself and try for Hifdh” says Shabnam. “I enrolled her into a very reputable Arabic School to study the foundation stage. So initially, I had zero involvement thinking all children moved at the same pace. It was her 3rd month without much progress that I finally got involved. Through the middle, I sat with her 10 to 15 mins maximum and made sure her page was fluent. I started to write at the top of the page ‘learnt at home : please test’ for her teacher to catch up as well. From this point on, Maariya moved onto a next page every day…We continued sitting at home, usually after school and be prepared for her lesson the next day. As parents, we expect a lot from the teachers, but a child only gets 5 to 10 minutes with a teacher daily so I do believe what parents do at home is crucial in the results we expect our children to achieve.” says Shabnam. As a parent, you know the language of your child the best. You know when it’s time for them to start. What they like and how they like it. What they are capable of and what they aren’t. Allah has given you the ability to raise the child you have. If you weren’t capable, Allah wouldn’t give you this child. YOU are capable. Believe in yourself before you believe in them. “At the beginning when I was ahead of Maariya (this didn’t last long), I would read the ayah and Maariya would repeat it back. We did this 5 times at the earlier stage. Subsequently, I was told 7 times is better for long term memory. After she’d see and repeat the line, I’d cover the line and ask her to repeat it for 5 times at least. A little every day works better than lots and lots in one sitting. No matter whether your child is an aural, visual or kinaesthetic learner, try repeating the lessons at night before sleeping. We all have bedtime routines – how wonderful would it be to have Quran as a major part of your bedtime routine. Perhaps lie down with your child, hug him/her and let him/her recite the Quran to you. Remember the advice by Ibn al Qayyam – for a better memory, do istighfar. Distractions like music (cartoons with music in them etc.) or a lot of screen time even can hinder your child’s memorization process. When they are not learning the book of Allah, let them be bored / play with them / let them create (art, blocks, clay etc.) instead of absorb the things that will not add value to their life or memorization journey. Do you know how a song you randomly hear can stay stuck in your mind for days? Does it add value to your life or bring you any joy? If the answer is no, then the same applies to your child as well. Instead try this hifdh audio session with Asma Huda (unfortunately only for juz 30 – but it’s a good start). (some instructional clues are in urdu, but one can do it without knowing urdu as well). “From the very start, I used to make a note of what we did on a daily basis. 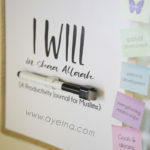 I would write which ayahs we covered. The main reason was to log the mistakes that were made. It is crucial that they are revisited the next day to ensure the same mistakes aren’t made again. The early stage was a lot easier to retain because it was a manageable amount.” says Shabnam. If your child is finding it hard to start, try the reward system. It specially works well with younger children who may not understand why this is important. For eg: if you are starting at the age of 3, giving them gifts on each milestone can help them keep going. 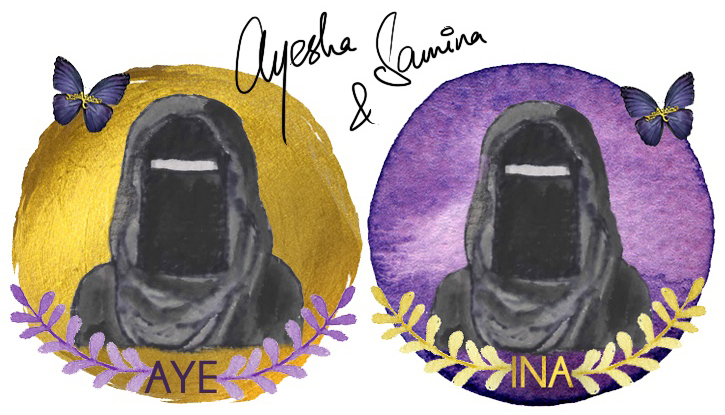 “Maariya has a younger sister, Sara, and a younger brother Yusuf too. I just made sure all necessary duties were taken care of so I could sit with Maariya without any interruptions.” says Shabnam. The best time to do this is usually the first thing after breakfast when kids’ mind & energy levels are at their peak. (If they can get up for Fajr happily, then that time is full of barakah – but don’t force them of course. After all, they are only kids who will thrive the best in a loving environment). If you can start at tahajjud time, even better. Whichever schedule you choose, you must stick to it, and only rarely for special cases should you move it around. If you are not concerned about the time it will take them to complete hifdh, then you can mold your schedule accordingly. Each of us have different visions for our children and each of us have different lifestyles – choose what works best for you and then stick to it. “Throughout our Qur’an learning, we sat in a quiet room for Hifdh or revision. We never sat where there were other people to distract us or the television blasting! I think this was the key. We had a designated, comfortable and quiet area to memorize and practice. Even other kids knew it was ‘Reading Time’.” says Shabnam. You can tell a story of what’s actually happening in the Surah. Discuss how these verses were revealed. Share a lesson on how these ayahs apply in our daily lives. You know what that means right? You have to do some learning yourself first. Because that will be the best way your child gets exposure to such knowledge. “Give them a platform: one of the best and most effective ways to learn is to teach. Let them take the platform once in a while to teach you, the family, or younger kids about something they learned. It can be something simple around dinner time or it can be something more prepared like a halaqa at the masjid. Empower your children, listen to them, and trust them. They will surprise you.” says Shabnam. Don’t give up on them and don’t let them give up on themselves. They can do it and so can you! In shaa Allah! Your growth mindset will help them grow too (in shaa Allah we will talk about mindsets from an Islamic perspective soon). Your role in this journey is a VERY important one because YOU are going to set goals for your child. YOU are going to make them your own goals. Prophet, may Allah bless him and grant him peace, said, “There are three supplications which are answered: the supplication of the person who is wronged, the supplication of the traveller, and the supplication of a parent for his child. HOW DO YOU HELP YOUR CHILD MEMORIZE THE QURAN? 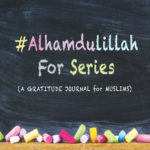 PLEASE SHARE IN THE COMMENTS BELOW (we will keep adding the points to this blog post as we get feedback/suggestions from more parents in shaa Allah). I ensure that we read the surahs they have learnt at bed time. I make it interesting such that we all read together including my little boy and by so doing, he has also started reciting alone. We see and listen to stories of the Prophets together and with that I am able to instill some lessons into them. May Allah ease our affairs. Ameen! Masha Allah, you’re doing it great. May Allah reward you for every step you take towards helping your kids memorize His Book! Ameen! Beautiful article. Masha’Allah. We have a daily family get together to practice what we have memorised, taking it in turns to recite from the surah we are working on. Great advice for parents to make dua for their little ones to memorise Allah’s beautiful words. May Allah help us all to memorise His book. Ameen. Ameen! That’s amazing mashaAllah! Having a family halaqah is wonderful. May Allah bless you and your family ! Masha’a Allah great tips!! Pls suggest ideas when teaching multiple kids. Mashallah. Great article. Jazakallahu khairan kaseer for this. Please remember us in your duas as well. Wa iyyaki dear! May Allah shower His blessings in abundance upon you and your family and may He ease memorising the Quran for you all Ameen! Masha Allah, May Allah always help they retain what they have memorized. What a great topic and amazing points mashAllah! #7 is such a great idea, never thought of that, but it would be really helpful to keep a log! May Allah bless this sister for sharing her tips and may she be rewarded for all of her efforts, ameen! SubhanAllah ! I so needed this advise. My daughter attends an Arabic school where they are currently memorizing juz amma. I struggle to revise with her as she finds difficulty concentrating. She learns fast barakallah but revision is the problem. It gets frustrating for both of us. Inshallah will follow all the advise in here. I am always wary to help my daughters memorise as my own tajweed is incorrect so I am having lessons myself to correct mine. I always worry though about young children having that pressure to memorise the whole Quran which is why I haven’t attempted it with my children. My eldest knows some surahs and my youngest is learning some with her Quran tutor now, will see how she does. Consistency, repeating and revising as well as getting involved as much as she could was my mum wrapped up in one trying to reach three girls all nearly the same age how to remember their Surahs. I remembered more from my mums teaching than I ever did at mosque! MashaÁllah what an amazing guide to helping your child memorize the Holy Qu’ran. I can’t wait to grow my family and to create such a lovely home such as this inshaÁllah. May God reward you for your efforts. For the time being, I can get into the habit of daily Qur’an memorization for myself! Agree with your first point. Whatever you want your children to do you should start doing that yourself. MashaAllah very good article..I’ll share it with my friends and family. MashaAllah a very insightful article. I have a toddler who just turned one now and while we still seem a little far off from actually memorizing the Qur’an, I believe it is important for us to set an environment from the very beginning. Like ensuring that there are no distractions such as music and television as mentioned in point six. I agree that with consistency n routine Is the key to success..my child had memorized Quran at the age of 12 n it was possible due to the routine that was followed with consistency n other point is to have a believe in ur child that he or she will do it n ur believe in him /her will make them believe in achieving goal in their life .